Nasal obstruction refers to anything that stops airflow into and out of the nose. Everyone experiences them. A nasal obstruction may block one or both nasal passages. Most nasal obstructions are temporary. However, if left untreated they can lead to sleep apnea, breathing problems and/or sinus disease. Therefore, if you believe you are experiencing symptoms of a nasal obstruction, it is important that you see a doctor specializing in ear, nose and throat problems (an ENT). Depending on the circumstances, your ENT may refer you to a facial plastic surgeon specializing in surgeries of the nose. Nasal obstruction can be caused by a variety of things. Temporary nasal obstructions are often caused by allergies, sinusitis, or even birth control pills. However, chronic nasal obstructions are frequently caused by anatomical factors, and therefore usually require surgery. Here are some of the main causes of chronic nasal obstruction. Deviated septum. A deviation in the septum, or central nasal bone, will not go away on its own, and therefore must be addressed through a surgery called septoplasty. Enlarged nasal turbinates. The turbinates are three structures that line the inside of the nose. Comprised of soft tissue and bone, they sometimes swell and become large enough to obstruct the nasal passages. Nasal polyps. These are abnormal growths caused by inflammation in the sinuses and nasal cavity. Nasal polyps often occur in people with allergies and/or asthma. They can eventually lead to a sinus infection, chronic sinusitis or even sleep apnea if left untreated. Nasal valve collapse. This refers to a weakness or outright collapse of the nasal valve, the narrowest part of the nasal airway. Possible causes include nose trauma and previous rhinoplasty procedures. Adenoid enlargement. Though rare, a nasal obstruction can also be caused by enlargement of the adenoids. Your ear, nose and throat specialist must identify the cause of your nasal obstruction before deciding how it should be treated. Each type of nasal obstruction is treated differently. Treatment for your nasal obstruction will depend on the cause, as outlined below. A deviated septum is typically addressed through a surgery called septoplasty. During this procedure, internal incisions are made. Any bone and/or cartilage causing the obstruction are removed, but the overlying lining is left intact. Your surgeon will be careful to leave certain portions of the cartilage in place, for support. 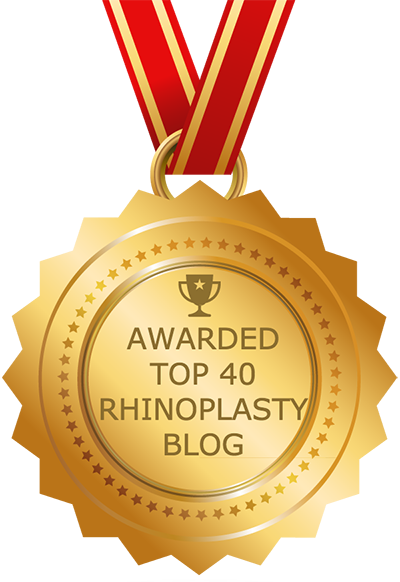 It is always best to have your septoplasty performed by a board-certified facial plastic surgeon who specializes in nose surgery, but this is especially true if the support structures are involved. Nasal polyps are sometimes small enough that they do not need to be removed at all. However, when they become large enough to block the nasal passages and cause breathing problems, they must be removed. Minor cases may be treated with antihistamines or nasal steroid spray, which shrinks the nasal tissue. Serious cases are treated with endoscopic surgery. If your nasal obstruction is caused by enlarged nasal turbinates, it will likely be treated with allergy treatment, possibly including nasal steroid sprays. If this doesn’t work, the turbinates will need to be reduced surgically. In the past, nasal turbinate surgery was an invasive procedure. Modern advances have made the surgery less invasive. Today, the procedure is usually performed by making a small incision at the front of the turbinate, sliding an instrument under the lining, and shaving down any excess tissue. If the obstruction is caused by the collapse of one of your internal nasal valves, it might be treated by lifting the cheek tissue on the side of the nose that is obstructed. In other cases it may be successfully treated by putting strips of cartilage in the collapsed area, or by reattaching the cartilage to the septum. If the collapse is caused by weakness of the nasal sidewall, alar batten grafts may be required – possibly in combination with septoplasty or septorhinoplasty surgery. Nasal obstructions caused by enlarged adenoids are typically treated through an adenoidectomy procedure. This is usually performed through the mouth but can also be performed through the nose. Neither approach requires any external incisions.